Jennie Burrowes joined Pediatric Therapy Network in June 2015. She completed her Bachelor’s degree at UNC Asheville in Biology with a minor in Health and Wellness Promotion. 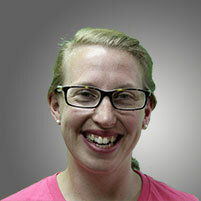 Jennie received her Doctorate of Physical Therapy in 2014 from Western Carolina University. She has been practicing for the last year at Catawba Valley Medical Center with people of all ages and is excited to pursue her passion to work with children as she joins Pediatric Therapy Network. She enjoys hiking, swimming, and cooking with her husband, Randy.